This page aims to help you remove .Shark Virus Ransomware for free. 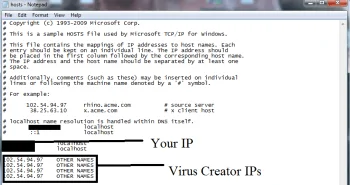 Our instructions also cover how any .Shark Virus file can be recovered. In the even that you’ve been infected by a ransomware virus called .Shark Virus and it is now demanding money from you after having encrypted a large portion of your personal or work files, we might be able to help. A number of our readers have actually already reported this awful virus to us and some of them have even already had the misfortune of landing it. If this is the first time you’ve even heard of ransomware, know this: Ransomware is among the scariest, most devastating cyber threats you can ever encounter. Dealing with it can be highly tricky and its consequences are often irreversible, no matter what the victim tries to do remedy them. However, there is still hope that you may yet be able to recover from this horrible attack. And for that purpose we’re offering you a set of removal instructions for .Shark Virus. 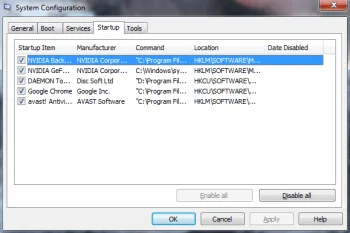 You will find them at the bottom of this page and in that same set you will also find separate instructions aimed at recovering the files that this virus has robbed you of. But before you head over to the removal guide, we do advise you to read the following few paragraphs and gain a better understanding of what it is you are now facing. What is ransomware? What makes it so dangerous? It really might not seem like it, but this particular malware category has actually been around for quite some times now. As a matter of fact, it was first developed in the late 80s and was initially only exclusive to Russia. But over time, with the expansion and evolution of technology, especially of the internet, this has become a massive phenomenon. Ransomware like .Shark Virus has become extremely sophisticated, with encryption algorithms that so far surpass the capabilities of security specialists of cracking them. And this is a huge problem, because apart from that, this virus type also generates huge amounts of profit for its criminal masterminds. Couple that also with the fact that nowadays we have bitcoins that provide a convenient cover for the hackers. So what happens is they request that the victims pay them in bitcoins (or some other cryptocurrency), and that ensures their anonymity, because there is virtually no way for legal authorities to trace the money flow and find out where it is going to. In addition to that, once your files have already been encrypted, there’s only so much you can do to try and recover them. Not even submitting to the ransom demands can guarantee that you will ever be able to access your data again. It’s actually a common thing for victims to transfer the money and never receive the decryption key that they were promised. In other cases, the hackers do uphold their end of the deal, but unfortunately the key juts fails to work properly. Plus, sending money to terrorists (even the cowardly kind that hind behind the screen of a computer) is hardly ever a good idea. If anything it would be funding their criminal scheme. What you can do to try and beat .Shark Virus would be to certainly remove it from your system. That way you will at least ensure that no further harm can come from it, and as pointed out you can refer to the removal guide below for instructions. Once you’ve got that done, you can proceed to the file recovery instructions in the same guide. These will attempt to restore any data from system backups, although this may not always result in success, depending on each separate case of infection. 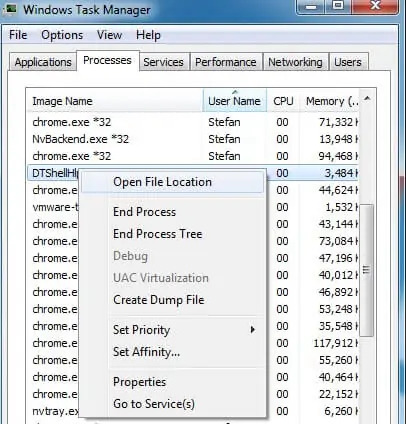 Furthermore, you can try and crack .Shark Virus’s encryption with the help of the many existing free decryptor tools. This is the cyber security company way of trying to battle ransomware, so it may very well be worth giving a shot. You can find a list of some of the most recent decyptor tools available on our site. Regardless of the outcome of this situation, however, we do highly recommend that you learn from it and take better measures for protecting your system. You can do that by creating backups for your most important files and keeping them on separate drives. That way they will always be safe from any potential attack on your PC. But it certainly would also benefit you if you’d practiced safer and more conscious browsing habits, as well.